With Readly you can read How It Works Book of Science Experiments and thousands of other magazines on your tablet and smartphone. Get access to all with just one subscription. New releases and back issues – all included. 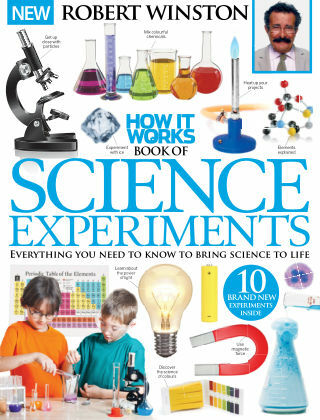 With dozens of amazing science experiments that can be easily tried at home, the How It Works Book of Science Experiments is the perfect companion for every young scientist in the making. The book is packed with explosive activities and incredible projects – from making mega bubbles to building a matchbox microphone – and features a foreword by the brilliant Robert Winston.